Last 788 items in stock! 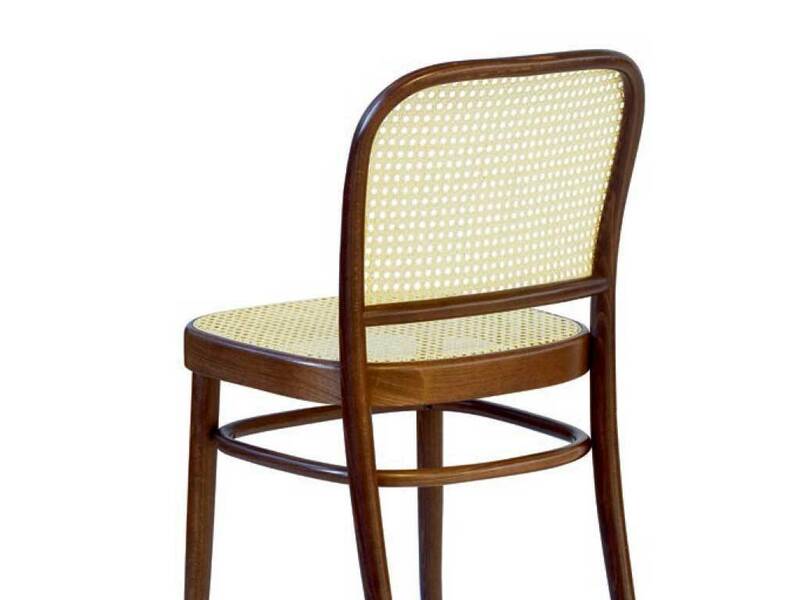 Classic chair with structure in curved beech wood, with seat in Viennese straw or wood. 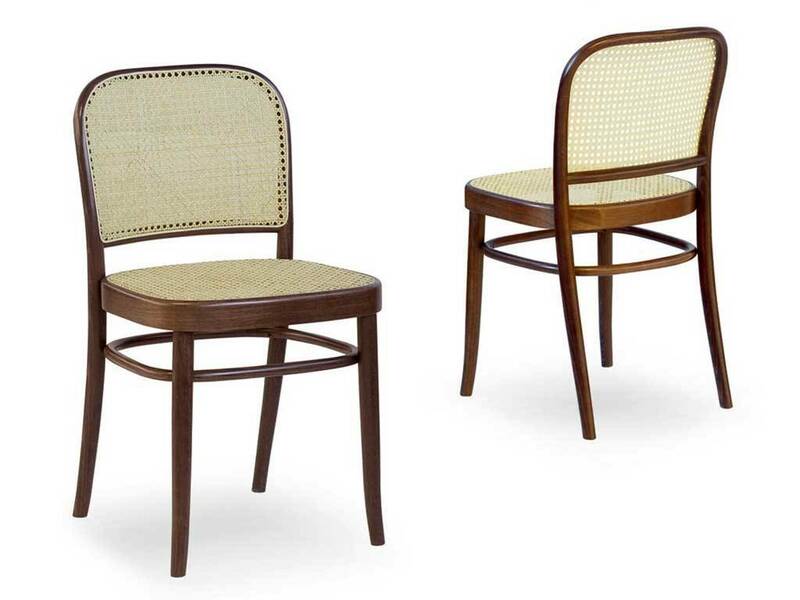 The elegant chair's structure is realized in curved beech wood, while the chair's seat is in Viennese straw. The back and the posterior legs are made of a single piece of wood, elegantly curved. The chair is very light and resistant at the same time. Wide range of colours available (See the images Wood Fnishings 1 and 2). Finishing on photo: SE 620 Walnut Antique finishing. The wooden seat version is equipped with a Viennese straw back. An Austrian carpenter and a woodworker, inventor of bentwood furniture, Michael Thonet wasn’t just a creative craftsman, but also a brave entrepreneur with many ideas : He was actually the first to realize the mass production of furniture. His first attempts of building curved beech furniture took place in 1830, he developed a procedure that later would have achieved the perfection, but the magic moment only came in 1841, when his furniture attracted the audience’s interest during an exposition in Koblenz. His first piece of furniture produced in series was used in furnishing the famous coffee house Daum in Vienna, this chair, initially designed as an economic piece for everyday use, has become the worldwide famous chair for the Viennese coffee house. Michael Thonet has been considered by the following generations a role model in combining art and technique, a man that was able to realize a furniture mass production but without renouncing the values of high quality manufacture.